Accidental Death Benefit Rider: Provides an additional benefit related to the face amount of the base policy whendeath occurs by accidental means. 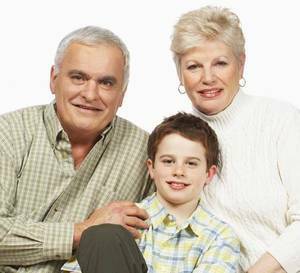 Age Limit: The age (typically 70-85) at which an insurance company will not issue or renew a term life policy. Beneficiary: The person(s) named in the policy to receive the life insurance proceeds upon your death. Convertible: Term insurance that can be exchanged (converted) for a form of permanent insurance. Even if you are terminally ill at the time of conversion, the new permanent policy will be issued at standard rates. Non-Convertible: To upgrade to a permanent insurance policy, you must submit to a medical exam. Exclusions: Specified causes of death for which benefits will not be paid (eg. suicide). Face Value: the amount that will be paid out at your death. This does not include additional amounts payable under accidental death or other special provisions. Length of Term: the length of time you are insured for (typically 5, 10, 15, or 20 years, or to age 65, age 75 or age 100). Renewable: Renewable policies give you the right to renew the policy after the selected term has expired without having to undergo another medical exam. Non-Renewable: The policy terminates at the end of the selected term. If you wish to continue having life insurance, you must reapply and re-qualify medically for the new policy. Waiver of premium: An optional rider on your policy that provides a degree of additional protection. If you have an accident and become disabled, you may no longer earn enough income to afford your insurance premiums. When you purchase a Waiver of Premium rider, after 6 months of disability the insurance company will waive all of your premiums so you do not lose your policy. They also refund the premiums you paid over the previous 6 months.